Suzuki introduced their Kei truck in 1961, but the appropriately named "Carry" got better through the years, and today's example comes from the tenth generation released in 1999. The Carry still used a cabover style setup also known as FMR (front mid-engine rear-wheel drive) and conformed to the Japanese kei truck rules. 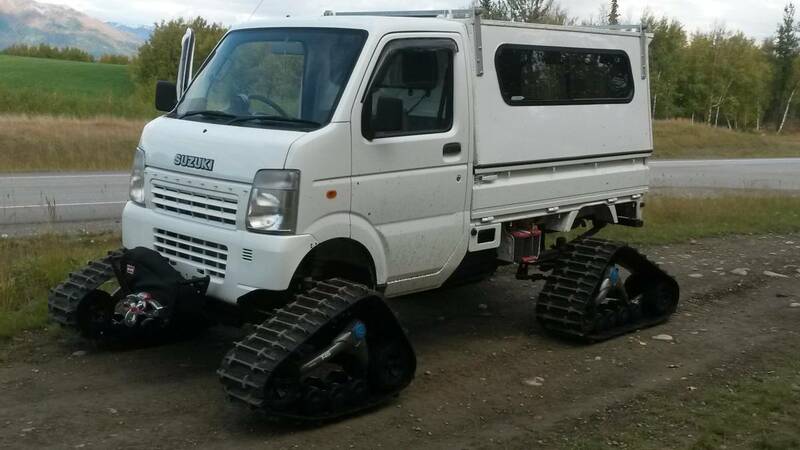 Find this 2008 Suzuki Carry Mini Truck offered for $22,500 in Palmer, AK via craigslist. Tip from Zach. 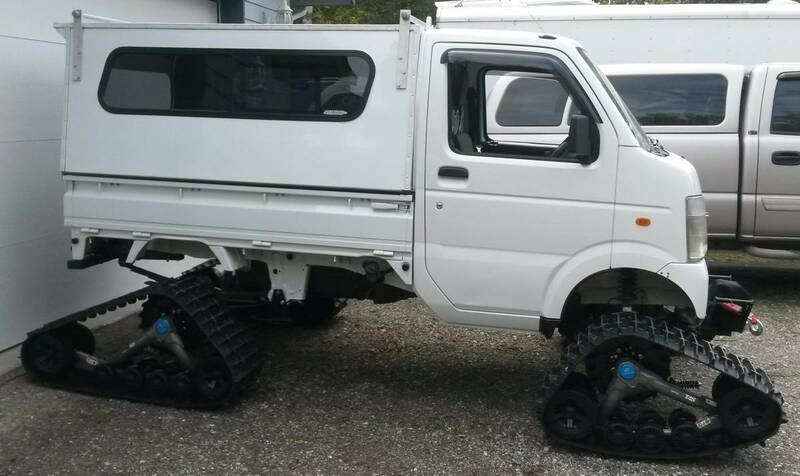 This Carry is not the average stock Kei truck that you will find around North America, sometimes semi-legal for on-road use and other times obviously off-road only due to DOT and EPA laws. This one is setup for off-road, but your average country club law tool hauling duties -- this one has a 4-inch lift and a wicked Camoplast Tatou UTV TS4 track system. "your average country club law tool hauling duties"
"Buffy, there are tanks on the hills to the west. Would you please go get the Carry and have it pull the LAW into position? And please top up my gin tonic while you're up." The US military's gone back to the 84mm Carl Gustav, I think. Reusable tube, cheaper rounds, better against stuff that isn't Soviet armor. Perhaps, though, he really did mean 'law tools'. "Julio, haul me up a per curiam." The Carl Gustaf (also known as, Gustaf Bazooka and M2CG) is an 84 mm man-portable reusable anti-tank recoilless rifle produced by Saab Bofors Dynamics (formerly Bofors Anti-Armour AB) in Sweden. Hm, so passenger cars, not so much, but anti-tank weapons - now there's a market!